Two. Find a creamy concealer that you love. I love creamy concealers all year round because they are light weight and easy to blend without worrying about blending out the product into chunks. With concealer you can draw a little try angle right under your eye and blend out with a damp beauty blender for a natural, airbrushed finished. Four. Sticking with the light weight theme, I prefer to use a Cheek Stain during the summer for a more natural flushed cheek's look. The best thing about cheek stains is that most double as a lip stain as well, which is perfect if you're trying to downsize your product count during the summer. Six. Sometimes eyeshadow just isn't an option, but for the summer days and nights when you want to quickly spice up your look..I suggest finding a Neutral Eyeshadow Pallette. It has all you need from light to dark to make the windows to your soul shine bright in the summer. Seven. Mascara will pull your look together, so make sure you find one you love. I love mascaras with a thin wand thats flexible and easy to apply. I find that bigger and rounder wands make it difficult to apply because it causes clumps instead of helping spread your lashes apart...and who wants that in the summer? Not Me. 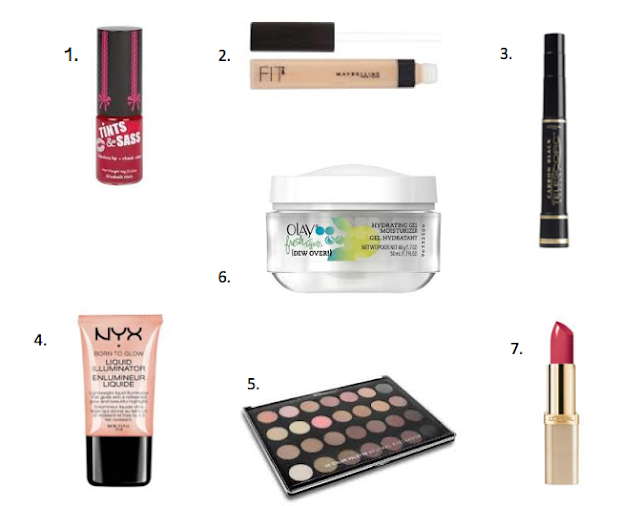 And there you have it, 7 of my favorite products to use for my Quick and Easy Summer Makeup routine. With a few of my other favorites thrown in the mix for you to check out. 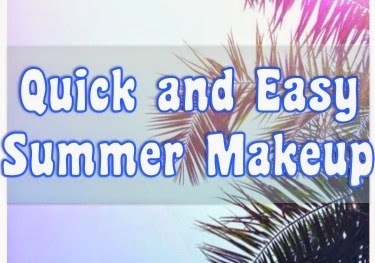 What are some of the quick and easy products you look forward to using this summer from your makeup collection?